Two years out of college, Julie Spencer is realizing that her life isn't turning out exactly how she had hoped it would. After four years and $150,000, she has a college degree that hasn't gotten her anything more than administrative work, and she's stuck in some sort of love polygon that's better suited to high school than adulthood. Greg, the man she's been with for almost a year, is still in love with his ex, Chloe. The man perhaps she should be with, Duncan, lives six hours away, so she only sees him when he's in town on business. And her friends aren't any help. Tess is relationship-challenged, and Brian is in a long-distance, open relationship with a hook up buddy, and is-more than likely-also in love with Greg. Lost in a quarter-life crisis, Julie is just letting life take her where it will, while she tries to figure out exactly what she wants. But is putting off making a decision taking her just where she doesn't want to go? 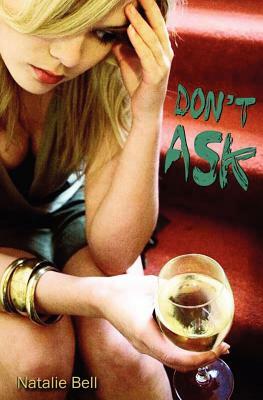 Don't Ask is the story of a new generation suffering from being caught somewhere along the edge of adulthood in a world that looks nothing like what their parents' knew. Natalie Bell, a Southern California native, spends days working for a marketing firm, and nights typing away on her computer, working on her creative writing. She currently lives in Maryland with her amazingly-patient fiance and endless array of house guests.